In general, network management is a service that employs a variety of tools, applications, and devices to assist human network managers in monitoring and maintaining networks. At Mutiara, we do research, development, testing and deployment of our own brand of Network Security Firewall / VPN from small, medium to large scale numbers of nodes in your organization. This network firewall designed to protect your Network against attacks from the Internet or via a local area network. Mutiara Firewall offers customization security using user-defined rules for packet filtering. It works at a low level and also allows you to create rules based on non-IP protocols. 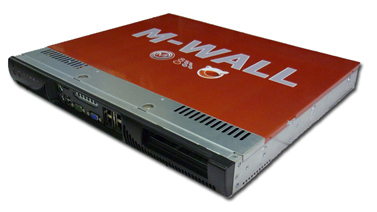 M-Wall utilizes p0f, an advanced passive OS/network fingerprinting utility to allow you to filter by the Operating System initiating the connection. Want to allow FreeBSD and Linux machines to the Internet, but block Windows machines? M-Wall can do so (amongst many other possibilities) by passively detecting the Operating System in use. Transparent layer 2 firewalling capable – can bridge interfaces and filter traffic between them, even allowing for an IP-less firewall (though you probably want an IP for management purposes). You can turn off the firewall filter entirely if you wish to turn M-Wall into a pure router. The firewall's state table maintains information on your open network connections. M-Wall is a stateful firewall, by default all rules are stateful. Most firewalls lack the ability to finely control your state table. M-Wall has numerous features allowing granular control of your state table, thanks to the abilities of OpenBSD's pf. There are multiple production M-Wall installations using several hundred thousand states. The default state table size is 10,000, but it can be increased on the fly to your desired size. Each state takes approximately 1 KB of RAM, so keep in mind memory usage when sizing your state table. Works with all protocols. Default for all rules. Works only with TCP. M-Wall will generate strong Initial Sequence Numbers (ISNs) on behalf of the host. Proxies incoming TCP connections to help protect servers from spoofed TCP SYN floods. This option includes the functionality of keep state and modulate state combined. Do not keep any state entries for this traffic. This is very rarely desirable, but is available because it can be useful under some limited circumstances. Useful for high latency links, such as satellite connections. Expires idle connections later than normal. Expires idle connections more quickly. More efficient use of hardware resources, but can drop legitimate connections. Tries to avoid dropping legitimate connections at the expense of increased memory usage and CPU utilization.